Good morning everyone! 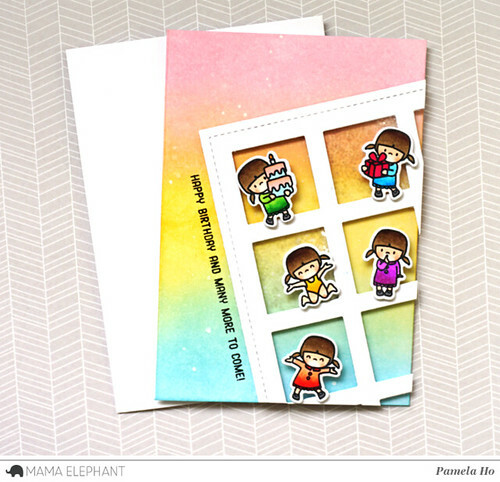 This is Pamela at Mama Elephant's blog with a project using Little Girl Agenda and the large Grid Window creative cuts. 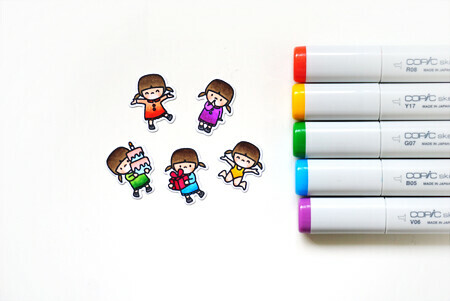 The first thing I did was stamp a few of these cuties out and coloured them with my copics. 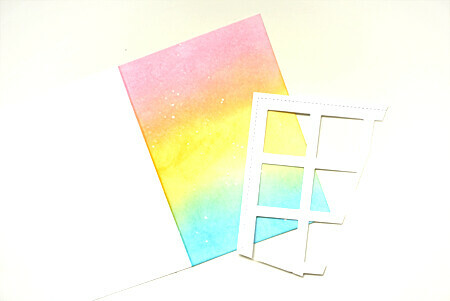 Then I blended my card base with pink, yellow and blue, flicked some white paint and water onto the colours and let the magic work it's way through the colours. Next, I die cut a piece of cardstock with the Grid Window creative cuts. Because I usually create smaller cards (3.5x5), I decided to offset the grid window since I couldn't fit the entire window on my card. I adhered the grid window using some foam tape so I could create a shaker card with 2 of the windows. And there you have it! Since I don't have a lot of complete windows, I only put glitter into 2 of the complete ones so they don't spill everywhere. Can you see the glitter behind these little girls? 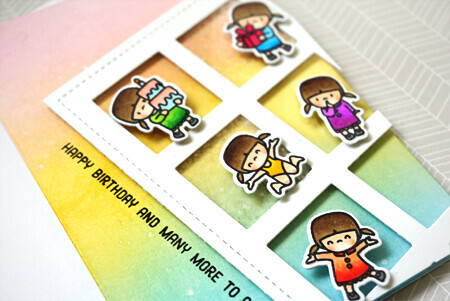 So cute I like the off set die. Love those girls. Darling. Great way to still get use out of the grid die.